So how did I do this one - I first stamped my favorite Ryn Tanaka water droplet stamp with Staz-on on acetate. Then I ran the acetate through a Cuttlebug Embossing Folder. Make sure the Staz-on is really dry before you do that, otherside it messes up you embossing folder (guess how I know that...?) I added Stickles to the indentations of the acetate (on the back side of it) and let it dry over night. By the way - the droplets are on the back too. I added some white accents onto the water drops. I used a tag die by Mama Elephant to die cut the acetate and the background paper. Embroidery floss is holding the tags together. I then stamped the sentiment on white card stock and ran it through my Big shot with the same embossing folder. And then I assembled the entire card. Not so difficult, huh! You wonder what took so long? Well, the entire card was a try and error thing until I felt it looks right. I think it was worth the effort, I just love to look at it - it sparkles nicely and still is CAS. We're halfway through our CAS or Classic challenge at House of Cards and I have some more inspiration for you! I hope you join in the fun! You have one more week to link up your card! The inspiration photo is below. I used the Memory Box Twiggy Tree die cut, some vellum sponged in green and liquid pearls. The sentiment is by Papertrey - Dress Form. Now go and ink up your stamps! I used TAWS - Bitty Borders to make the background. The unicorn is TAWS - Enchanted. I colored it with Copics and used foam tape for the unicorn. On the photo below you can see that I used silver foil for the unicorn's horn. 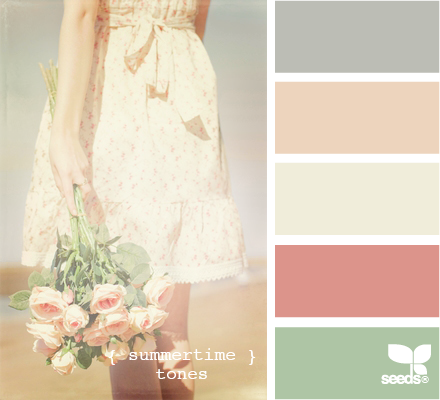 This is the inspiration picture - its so pretty! But now my fun activities - I went to a shoe box swap on Saturday - the first one I did. Everyone who come designs a card and then brings enough material for the whole group to recreate it. So you go home with a number of different cards, can play with different supplies and inks - so much fun! Those are all our cards and below are all the Ladies participating in the event - we all hold up the card we designed! Can you see how much fun we had? I am also linking this card with the Inspired By... challenge - I discovered it today and thought my card fits quite well - you gotta love this inspiration picture! 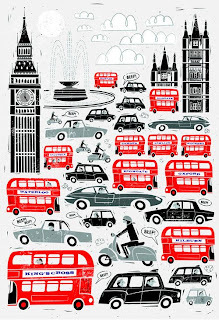 And here is more - I got this wonderful card from my blog friend Susanne - what joy to get an unexpected card in the mail! Thank you Susanne! And today - more mail goodies - I won those in the CHNC challenge - if you don't know about it you should check it out! Thanks Hazel! And that's it for today - thank you for visiting and all your lovely comments - I love to read them! I pulled out my CTMH sets for this card. I used two sets - Easter Wishes Holiday and A Hop. Popped up the eggs after fuzzy cutting them on foam tape. I also bent the sentiment. Liked it curved better than straight..... I hope you like it too! 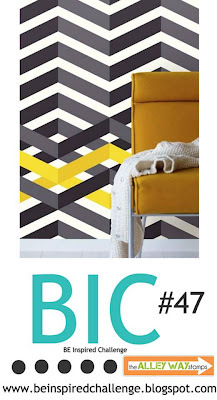 Ahhh, another combination challenge - its Black and yellow at Dynamic Duos and CAS with Stars at The Paper Players. I needed a card for my daughters birthday and thought stars is just the right thing for her. I used a stencil that I bought a gazillion years ago and was still unused..... the company is called Coffee break design - not sure if they still exist..... The stars are by Mama Elephant Party Kit, I used the matching die. The small stars are a Michaels punch and the sentiment is Hero Arts Essential Messages. 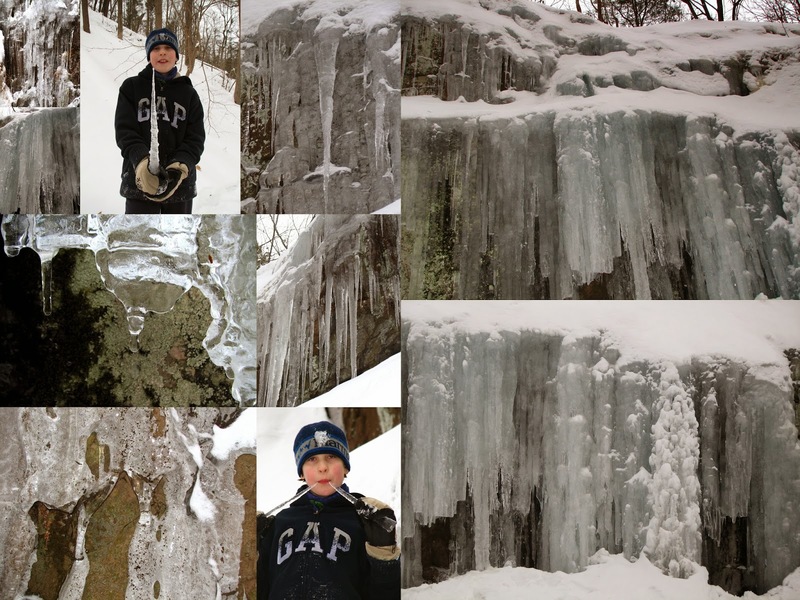 I went with my son to a little waterfall nearby - I just love how it looks in winter! The new sketch challenge at STAMPlorations is starting today! 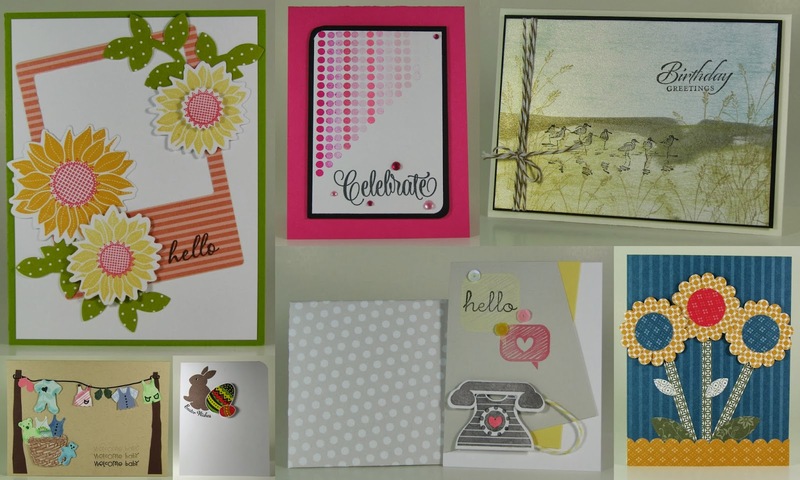 I used my favorite set from the VIGNETTE series: Retro Mod Shapes for this card and stamped the shapes in different shades of yellow on white card stock, that I ran through my Big Shot with the Papertrey Linen embossing plate to give it some subtle texture. 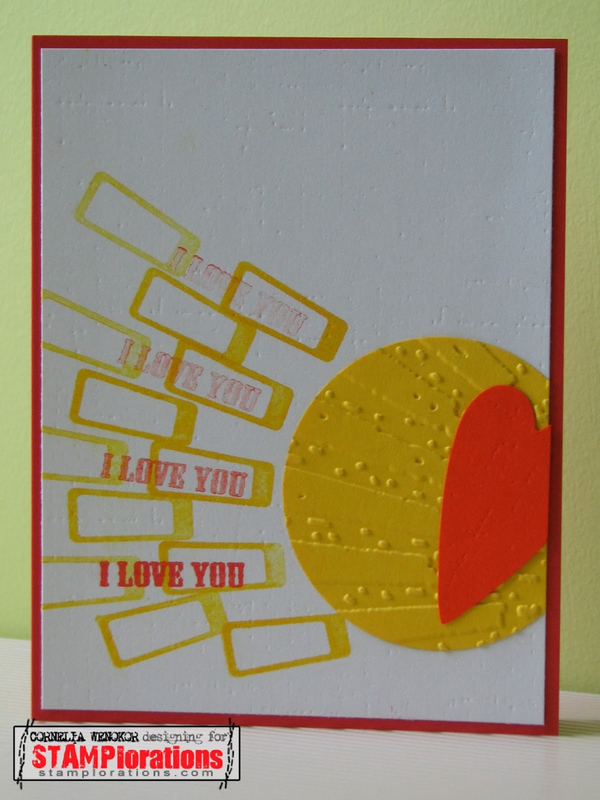 The yellow circle I embossed with a Sizzix embossing folder and the heart is a punch by Marvy. I mounted it onto red card stock. The challenge ends February 28. The winner will be announced March 2. There is a PRIZE to win, too! 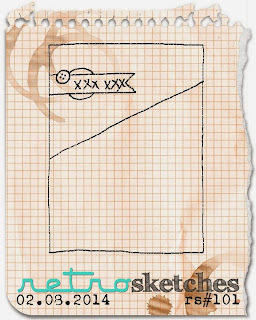 The sketch challenges are sponsored by All About Scrapping. The winner gets to pick 3 DIGITAL products from the shop -- any combination of printable sheets, Photoshop templates, and digital paper packs. 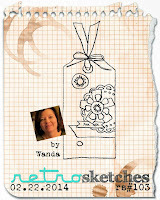 The winner will also be invited as a Guest Designer in next month's sketch challenge. So get your stamps out and start crafting! I hope to see you at STAMPlorations! But wait - I am not finished! Can you guess what you can create using these stamps? Leave a comment between now and March 2. On March 3, 2 lucky commenters will each receive 1 random set (from the new sets). It's time for another new challenge at House of Cards! We have a fabulous inspiration picture and we cannot wait to see what you create with it! Isn't this picture gorgeous - I am sure it will inspire you as well! I used the Memory Box Woodland Branch die, which I doulbled up to make it a bit more substantial. The blossoms I made with the Starburst punch from McGill., sponged them and added some Stickles. 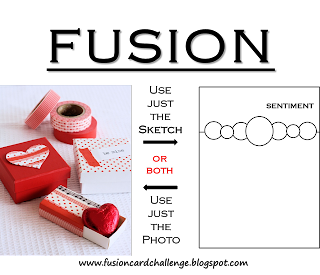 The sentimant is Papertrey Think Big Favorites. I took some Tim Holtz distress stains and added a bit extra color. I hope you like it and play with us at House of Cards! 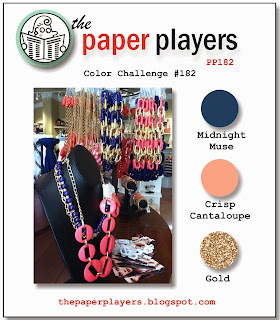 Paper Smooches has an additional challenge going on as part of their anniversary celebrations. The theme is fun and cute - just the right thing for me! You can win cool new acrylic blocs - never can have to many of those, right? I first punched the circle. Then I masked a strip of on the front of the card and stamped the leaves and sponged over them. I stamped the sentiment onto the circle. Then I put some eyelets in the card on top and two in the circle and threaded twine through it. I stamped the crocodile on the inside of the card - I drew the opening with a pencil to know where to place it. I used Inktense pencils to color the leaves and the crocodile. I doubled up the lid, to hide the back of the eyelids and string. Looks better that way! Pull on the string and the "lid" opens up! I am also submitting this card to Less is More - Masculine card - I associate alligators with males.....and I am planning to send this card to a little boy! Guess what - its snowing again in New Jersey!!! We have a record winter. 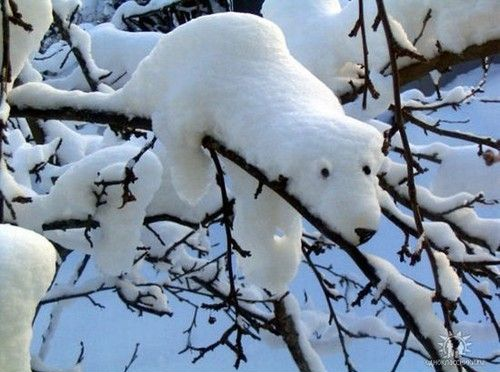 If it would not get warm in between and melting some of the snow away I wouldn't know where to put it anymore. 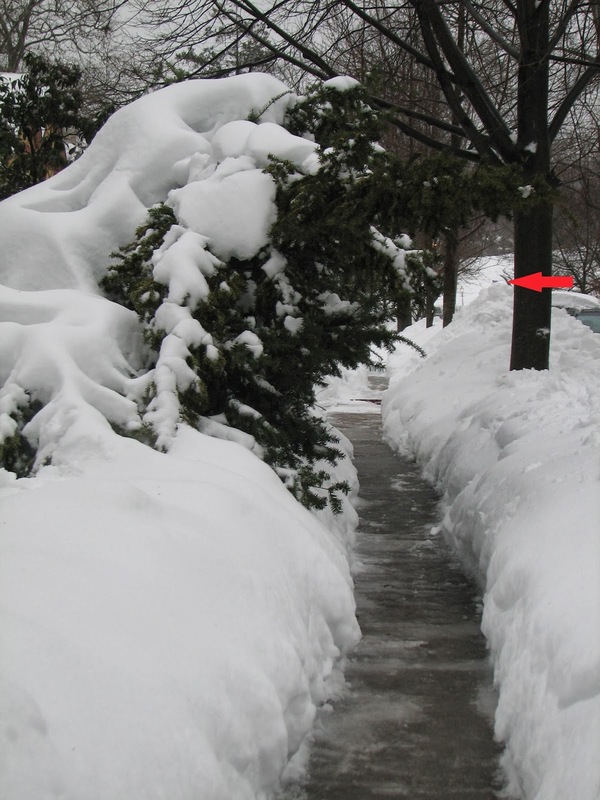 As it is its difficult to get it on top of the pile I have next to my driveway....Just to show you, I put an arrow to the top of the pile - pretty high, hu?! I used the Papertrey Linen embossing plate to add subtle texture to the card stock. I used the CASual Friday set "RAD" for this card - stamped it in blue and colored some of the dots with Copics in different shades of blue. Added a paper candy. Pretty simple. 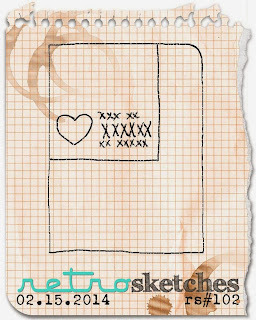 Repetitive stamping - therefore I will also like this card up with the One-Layer Simplicity Challenge #2: Can You Repeat That? I made this card with paint chips. Stamped those beautiful Stamplorations flowers from the set "eclectic florals" on them with Versamark and heat embossed it in white. 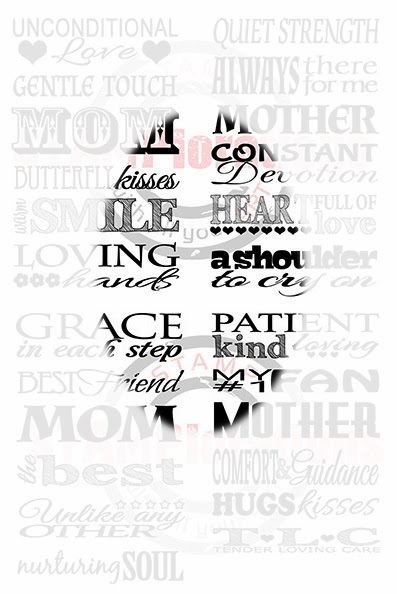 The sentiment is from the set - Graphic Pentagon. Added silver thread and sequins for some sparkle. You'll have until 2/27 to link up your card! I am looking forward to your creations! I could not resist to play in the Paper Smooches challenge - with such a pretty inspiration picture. I made my card a few days ago, but waited to post it, since I wanted to surprise my sister - I made it for her. I had to just copy that heart - too tempting not to.... I used a Lifestyle Crafts die, which cuts out squares and then I cut it by hand into triangles. I tried it on a grey background, but in the end liked the white better with just a little bit of grey sponging around the heart. 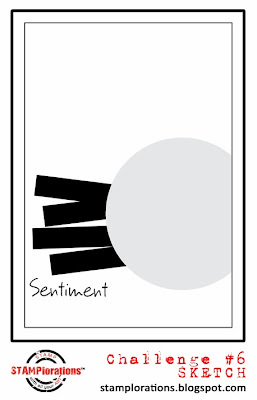 The sentiment is from Paper Smooches - Sentiment sampler. I added some sequins for extra sparkle. gold triangles I used shimmer paper -- looks really pretty in real life. and I am very happy to have you here. 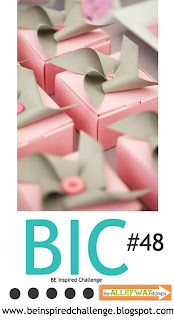 Hanna has a wonderful blog - she is very creative and I can highly recommend you check out her blog! It is a vase by Miyashita Zenji. I saw this last year in Cornell University, Ithaca. They have beautiful museum - definitely worthwhile to visit. I hope you like this as much as I do. 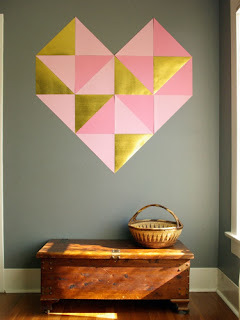 Time for another Be Inspired challenge at TAWS - an inspiration picture just up my alley! I used my brand new set called Pillow Talk from TAWS to make this card. I won this set with THIS card. I had it on my wishlist for a while - its just so cool! Thanks Allison!!!!! The yellow pattern I heat embossed to make it stick out a bit more. The bird is from the Bird Brain set - colored with Copics and the sentiment is from Jibber Jabber. 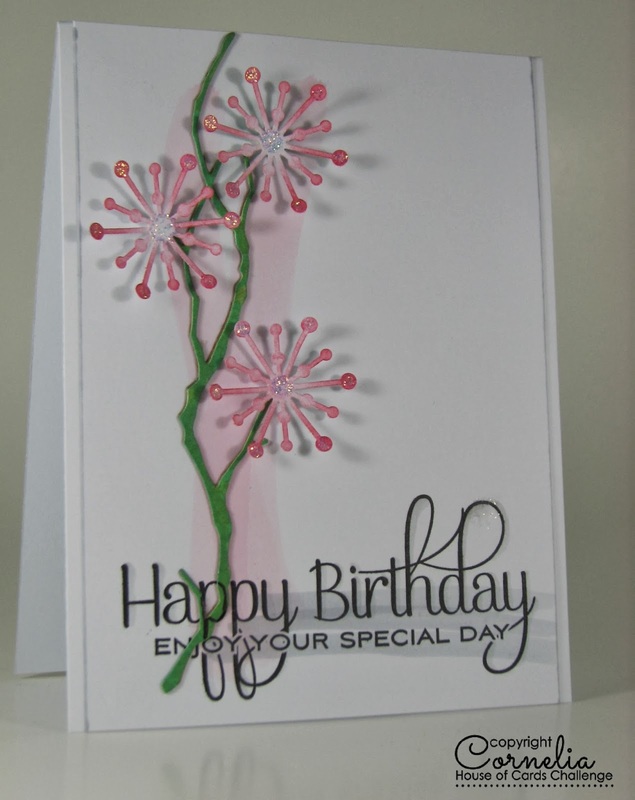 I used my favorite Neat&Tangled set for this card - its called Party Dots. I heat embossed it in red, after I first stamped it red, but was not happy with the coverage and intensity of the stamp. 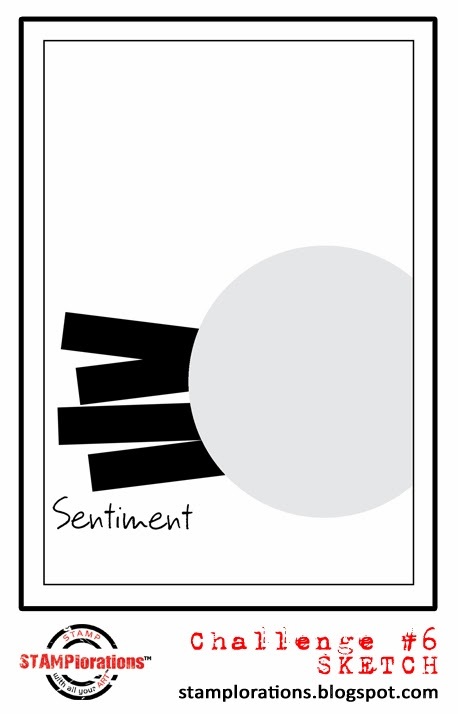 And the sentiment is from the set Everyday Labels - also from Neat&Tangled. This set is so versatile - I love it too! I stamped it with Versamark on vellum and heat embossed it. Its cool, when the embossing powder melts on vellum - great to watch....Lastly I added that little foil heart (Michaels confetti) on a silver string and mounted everything on a red card base.